It’s human nature to go to extremes. We tend to be all-in or completely out. If you’ve watched poker players, you’ve seen this dynamic in action. When players have a bad hand, they fold quickly. When they have a great hand (or are bluffing), they’ll bet everything they have. People also go to extremes with hiring technology. Some are overly reliant on their hiring tech, while others avoid it as much as possible. Both extremes are harmful. Organizations with an unhealthy reliance on automation suffer from technological codependency. They can’t live without it. The technology runs the show. How work gets done is planned around its capabilities. When their tech can’t do something that obstacle becomes the reason it shouldn’t be done. They go as far as using technology in ways it wasn’t intended. Instead of technology serving the organization’s people, the people become slaves to their technology. One of the worst cases of technological codependency I’ve witnessed was at a biotech firm in Germany. 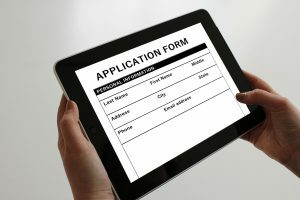 The firm had it all when it came to hiring tech—a talent management system, multiple job boards, automated resume parsing, a candidate sourcing system, an online application, skills testing software. These were some of the products the firm was hooked on, but the hiring process was slow and ineffective. The firm’s various tech products weren’t linked, requiring users to enter the same data several times. When leaders wanted specific hiring reports, they couldn’t get them. The system didn’t track that information. Searching the talent database was cumbersome as was the skills-testing software. Hiring results suffered; seats remained empty for months; turnover was high; two out of three new hires lasted less than a year. On the opposite end of the spectrum when organizations shun automation, they suffer from automation anorexia. Underutilization makes work harder. Tasks that could be handled in seconds by technology require hours of someone’s valuable time. Work that could be done flawlessly through automated means is completed haphazardly. Automation anorexia makes hiring a long, frustrating process. A law firm in the northwestern United States is a classic example of automation anorexia. The firm is as low-tech as it gets. They’ve avoided hiring technology completely. There’s no applicant tracking system, no job boards, zero automation. Nothing. The law firm runs newspaper ads when jobs become open. Resumes stream over their fax machine, flooding them with paper. Reviewing them takes hours. Frequently, none of these candidates are a fit, so they run another ad—another flood of resumes and hours of extra work. Once they find a good candidate, often it’s too late. Another firm has already snapped them up. Smartly, they keep the resumes of these good candidates. Their resumes fill four cabinets full of paper files. The firm searches these files every time they have an opening. Sifting through resumes takes hours and is always interrupted by competing demands. Much of the time the firm comes up empty-handed and has to run yet another ad. Filling a job ends up taking months. How can you avoid the extremes of technological codependency and automation anorexia? Follow these three rules. The primary purpose of tech is to create an automatic means for getting something done. For automation to be effective, it has to reduce our involvement in tasks. When it doesn’t, we end up serving our technology instead of it serving us. Using technology can’t be a struggle. This begins with training. A challenging learning curve is overwhelming, causing you to miss important details. If using the technology is difficult, you’ll forget to take advantage of key features. When these difficulties persist, you’ll find workarounds that negate effort-saving features; or you’ll stop using the technology altogether. Your hiring tech must be easy to learn and easy to use. Reducing effort and ease of use aren’t enough. Technology typically requires a significant investment of time and money, so there must be a larger, long-term payoff. The technology must also produce better results, such as increasing the flow of top talent and improved reporting to monitor the effectiveness of each hiring step. Only then is the technology worth incorporating into your process. Does it reduce effort? If so, by a little or a lot? If just a little, is it really worth it? Is this tech easy to use? If not, would additional training help? If training won’t help, is it prudent to have it as part of the hiring process? Does the tech improve results? If so, by how much? Is that enough to justify its use? After answering these questions, you may find that the tech you currently have or are considering buying doesn’t cut it. Before rushing to find a replacement, look first at how improving your hiring process may eliminate the need for a technology solution. Following these rules will keep technological codependency and automation anorexia in check. Instead of serving your technology, it will serve you. 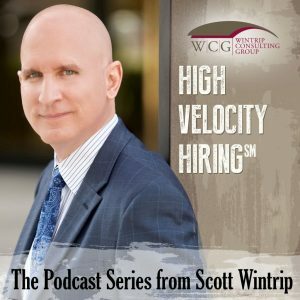 Most importantly, your hiring results will improve as jobs are filled more quickly with the right people.